Bright and charming home. 3 bed, 1.5 bath, fresh paint, laminate floors, living room rock wall w/pellet stove adds detail and character to this home. Semi-open floor plan w/sliding glass door to back patio ready for your relaxing enjoyment. 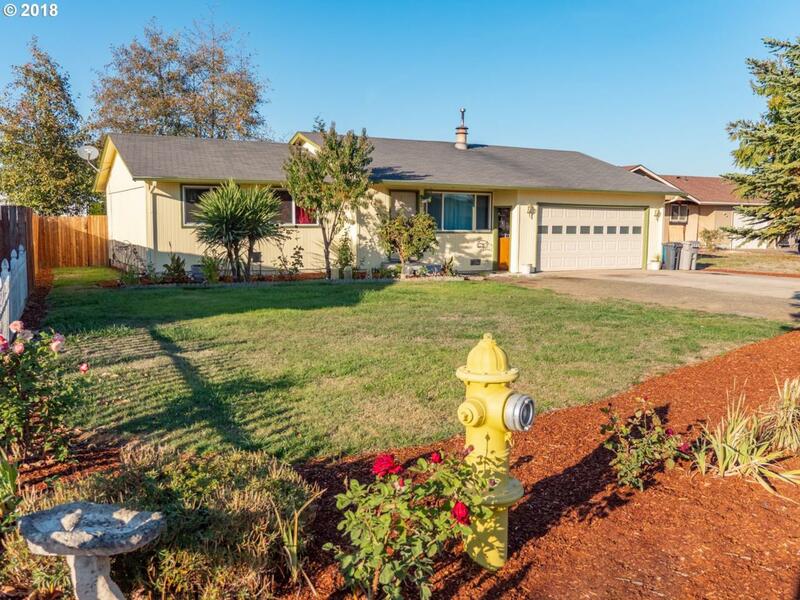 Landscaped, fenced yard for your privacy and entertaining. Front yard w/underground sprinklers will do all the watering for you. Come see the character of this home.